What do you do when you find your old Game Boy? Most of us try to boot it up and reminisce the days of playing Tetris, Super Mario and Pokémon. Others like Gautier Hattenberger decide to turn it into a drone controller. 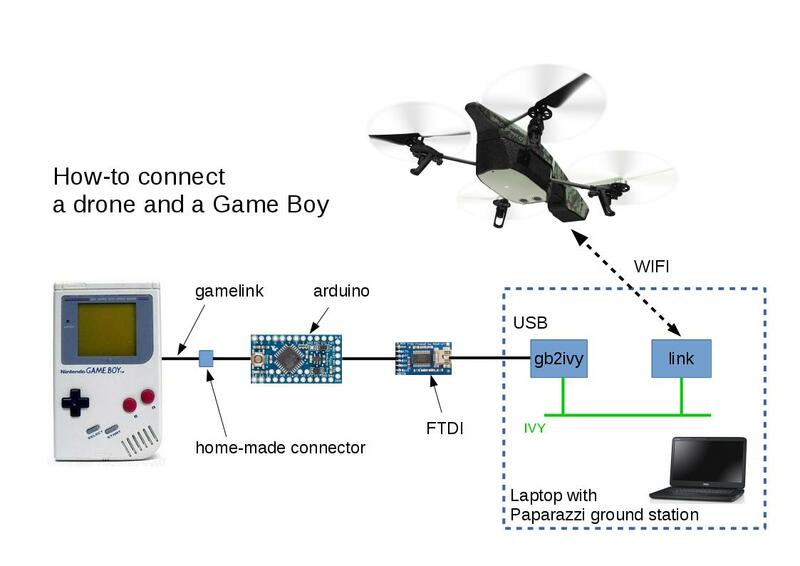 In order to do this, Hattenberger modified the Game Boy’s Game Link port with an Arduino Nano and an FTDI chip, which converts the Game Link signals to USB. 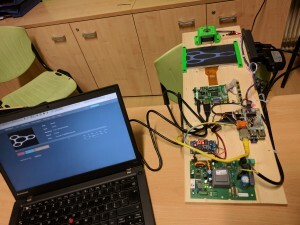 Using a small piece of software on his laptop, he is able to control his Parrot ARDrone 2.0 via the classic device— A and B buttons for up or down, and the directional arrows for maneuvering. Provides a one-stop location for manufacturing-related ROS software. Possesses software robustness and reliability that meets the needs of industrial applications. Does not replace any one technology entirely, rather it combines the relative strengths of ROS and existing technology, combining ROS high-level functionality with the low-level reliability and safety of an industrial robot controller. Stimulates the development of hardware-agnostic software by standardizing interfaces. Provides an “easy” path to apply cutting-edge research to industrial applications by using a common ROS architecture. Provides simple, easy-to-use, well-documented application programming interfaces. MicroPython is a lean and efficient implementation of the Python 3 programming language that includes a small subset of the Python standard library and is optimised to run on microcontrollers and in constrained environments. The MicroPython board is a small electronic circuit board that runs MicroPython on the bare metal, and gives you a low-level Python operating system that can be used to control all kinds of electronic projects. MicroPython was successfully funded via a Kickstarter campaign. The software is available to the public under the MIT open source license. If you grew up in the ‘90s, chances are you have an old SNES controller lying around somewhere. Well, thanks to a recent project from CompSci Studio, it may be time to blow off the dust and transform it into a modern-day USB gamepad using Arduino. By following the instructions detailed in the video below, you’ll be able to use the retro controller to play arcade games like Super Meat Boy and Fez on either your Mac or PC. 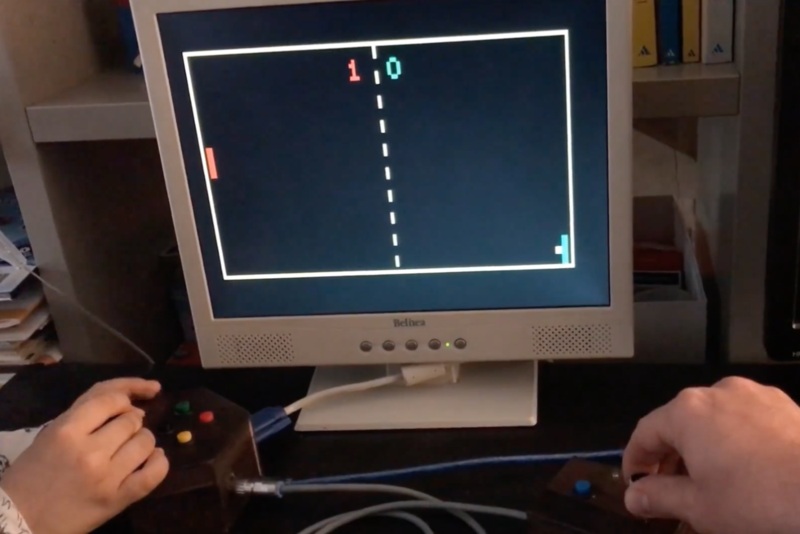 To get started, you’ll need an Uno, five jumper cables, and a simple Arduino sketch that creates an HID compliant joystick out of the SNES device. What is Treviso Arduino User Group? In the Mailing List of the Treviso Arduino User Group we talk about Open Hardware, Arduino and other boards, electronics, 3D Printers, projects and more.